Are you a candidate looking for the government job with good driving skills? Here is an opportunity that is given by the Mail Motor service for you! You can grab the opportunity by looking for the Mail Motor Service Jobs 2019. The Mail Motor has released the vacancy for fill 10 posts as car drivers for the staffs. Any interested candidates lying within the age limit of 56 with sound health for driving can apply to the post on or before 7th May 2019. The application process is completely offline and you do not need for pay any fee for the recruitment process. The selection will be based on your skills and you may check various information and eligibility in the official notification. Since the application process is offline the candidate may apply as soon as possible since the applications that reach after the last date will be considered valid. Those who are interested to apply, the candidates may open the official website and download the job application, fill the details appropriately, enclose the specified documents and send them to the specified address. 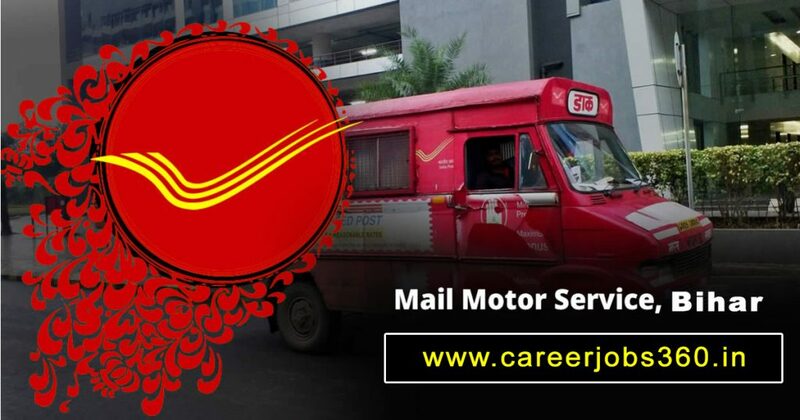 There are particular eligibility criteria for a specific department in the Mail Motor Service Staff Car Driver Recruitment 2019 the interested candidates may have a look at the official notification. Step 2: Look for the Official notification and read them completely, look for the documents required, eligibility and other requirements. Step 3: if you are eligible to apply for the post, download the job application form from the website and fill the details in it. Find the documents to be enclosed and enclose then with the job application. Send them to the below-mentioned address through a speed post. Make sure that your documents reach the office within the last date; any job application that reaches the office will not be entertained and be considered valid. The documents that are no sent completely with the mentioned details and if it is not through proper channel, those applications will not be considered valid.